Point Loma has many beautiful and historical places to visit. One special place is a marine area located off Scott Street on San Diego Bay. It has many fishing boats both large and small for commercial fishermen and sport fishermen. There are other businesses related to yachting and fishing, such as marine supply stores, yacht brokerages and boat repair yards catering to fishing enthusiasts. And best of all, the area has a number of seafood restaurants serving freshly caught local fish. So take a walk on a sunny afternoon and enjoy all that the area has to offer. Point Loma, a peninsula located along 70 miles of San Diego coastline, is a year-round sportfishing haven for catching fresh fish — from yellowtail, red cod to albacore. Point Loma is home to three major charter companies that offer a variety of saltwater fishing expeditions on many of the largest and most innovative fleets in the world. Those interested can have open party trips or charter a boat for half-day trips, for example. 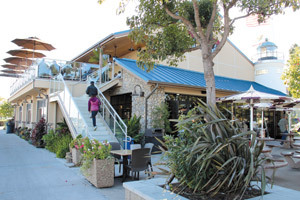 The restaurant, located on the sportfishing docks of Point Loma, is not only a seafood restaurant but also a sushi deli and a seafood market. The restaurant boasts homemade chowders and fresh fish on sourdough bread with homemade tartar sauce. The market sells fresh fish, shrimp, crabmeat and mollusks bought directly from local fishermen every day. 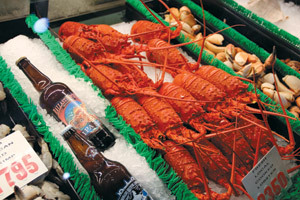 Until March, locally caught California spiny lobster and Pacific swordfish are available. The family business first opened its doors in 1963 when a husband-and-wife team started selling fish out of a small store with a small display case. The fresh fish market started growing and they then began to smoke and process not only their own fish, but sport-caught fish brought in by anglers. 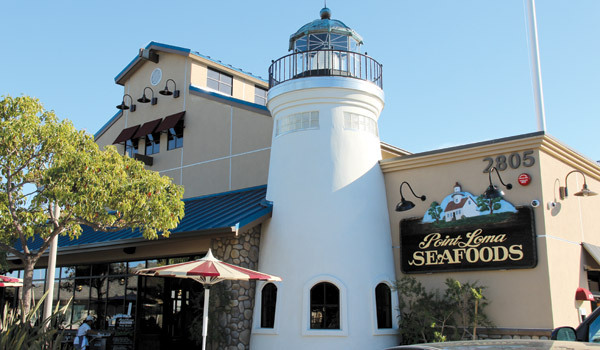 In April 2012, the waterfront restaurant reopened after a $2.7 million renovation and unveiled a replica of the Old Point Loma Lighthouse tower. Several dining areas are available including an outdoor rooftop patio which offers delightful views of the marinas and waterfront. H&M Landing, Point Loma Sportfishing and Fisherman’s Landing are all conveniently situated near Shelter Island. The most popular type of fishing trip is the half-day fishing trips, which last five to six hours long. People fish along the coastline from Imperial Beach up to Point Loma. The winter and spring season is good for fishing yellowtail, sand bass, rockfish, sheephead, sculpin, white seabass & barracuda, according to San Diego Sportfishing Online. Boats offer food services only and other services, such as an air-conditioned bunk room but sleeping accommodations are only available for certain trips. A state fishing license is required for anyone who is at least 16 years old. Sportfishing charter companies also offer three-quarter and full day fishing trips to a variety of locations, such as the Coronado Islands, the Northern Baja peninsula and Mexico. 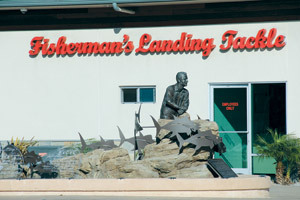 After a long day’s worth of fishing, anglers can process their catch at Point Loma Seafoods, which fillet, freeze, vacuum pack or slow-smoke freshly caught fish over hickory wood.